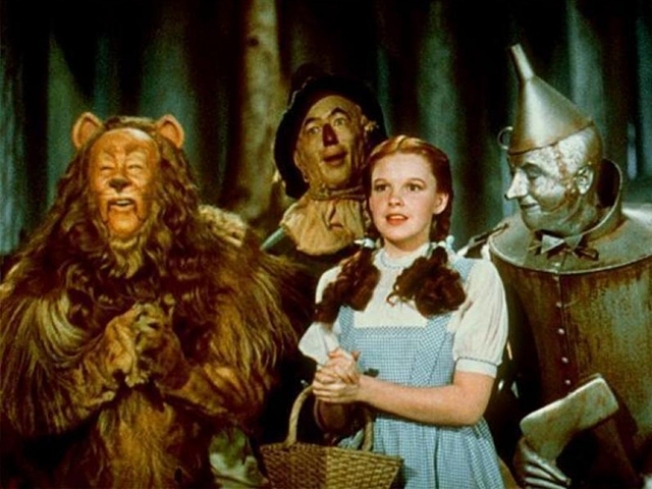 "The Wizard of Oz" memorabilia brought in big bucks during a weekend auction. Judy Garland's Dorothy test dress from "The Wizard of Oz" was estimated to sell between $60,000 and $80,000. After taxes, it was sold for $1,119,000. was selling the legendary actress' private, movie memorabilia. It is said to be the most comprehensive private collection in the world, valued at millions of dollars. For 40 years, the actress attended auctions, buying the most prized props, costumes, scripts and film cameras used by the giants of cinema: MGM, Twentieth Century Fox, Warner Bros and Paramount.